Is there a consistency in what your adolescent says about the same topic? It’s difficult for a true compulsive liar to keep her details straight, because she has already put in so many lies into what she has already narrated to other people. See if your adolescent appears nervous or uncomfortable, especially when you know that she is lying. If she feels or looks more at ease when lying compared to telling the truth, then she is likely to be a compulsive liar (where she considers lying as a natural gesture). See if your adolescent recognizes her behavior or if she even realizes what she is doing every time she lies. Because lying is already a built-in practice for a compulsive liar, the teen naturally denies that she has done wrong. Observe how often your adolescent lies. Compulsive liars habitually lie on an ongoing and regular basis. They often lie about anything – big or small. Compulsive liars lie out of habit, not because it benefits them or they can get out of an awkward situation. Rather, they often lie in order to get attention, which makes them appear much better in everything (an obvious sign of low self-esteem). Compulsive liars look for the thrill of misleading others; they love the reaction they get from peers and adults (especially parents) and want to see how far they can get with their lies. They also have the need to seek admiration from others, to increase their self-esteem, to control situations or desires, and to hide their own failures. 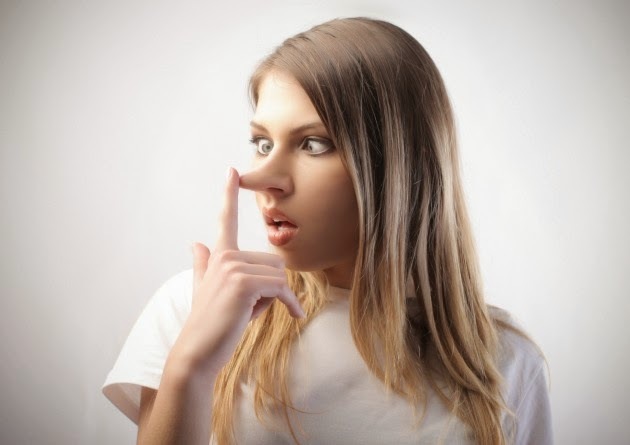 Occasional lying is common among teens, and deserves an immediate consequence. But if you have a compulsive liar on your hands, you will need to take a different approach. When a teenager starts lying compulsively, the parent’s first inclination is to issue some form of discipline, or at the very least, make an attempt to “reason with” the teenager. But what the parent doesn’t realize is that it took years for the teen to get to this point – and – the teen has probably been lying for a long time. She’s only been revealed as a compulsive liar recently. If it took years for the lying to get this elaborate and sophisticated, it’s going to take at least a few months to get the lying-behavior mitigated. There is NO quick fix for compulsive lying in teens. What’s needed instead is what I call a “bonding do-over.” In other words, you have to go back and rebuild the relationship-bridge between parent and child. In fact, you have to develop such a close relationship with your child that lying becomes more painful than telling the truth – not because there is a negative consequence waiting for the teen – but because her guilt-button gets pushed whenever she lies (i.e., she feels so uncomfortable after telling a lie that it literally causes her to experience a significant degree of emotional pain – the same feeling you get when you accidently run over a squirrel in the road). Having said the above, rather than discussing “how to punish” your teen for lying, we need to talk about “how to bond” with her. You will be able to fix the lying issue, but only by going in the back door. 1. After your adolescent finishes a task, or at least shows that she really tried, make sure you recognize her effort. This recognition provides the motivation for her to continue doing the right thing. However, make the recognition fit the teen (e.g., don't try to push hugs on an adolescent who doesn’t like physical affection from the parent; instead, give her a high five). 2. Avoid getting angry when your adolescent admits that she did something wrong. Obviously, if you get upset when she speaks freely with you, she will avoid talking to you in the future. She needs to feel comfortable talking to you – about ANYTHING! In order to help her feel comfortable with you, relate to her in some way (e.g., think back on the days when you used to be an adolescent, and share some of the stories of your rebellious antics). 3. Avoid judgment or criticism. An atmosphere of shame or blame is certain to jeopardize your attempts to bond. Don't offer your opinion or advice unless she asks. If she wants your advice, she'll ask for it. Avoid the lectures and attempts to use logic. 4. Be empathic. By showing empathy for the tribulations of adolescent life, you can help your teenager feel understood, which will strengthen your bond. Remember what it was like for you as an adolescent. Don't belittle her struggles when she confides in you. Instead, respond with compassion by using reflective listening skills (e.g., "I can understand how that would really upset you …I'm sorry that happened"). 5. Find common ground. Perhaps you share a secret interest or hobby with your teenager and you don't even know it. Ask her what activities she enjoys. Talk about your own passions. Show interest in her extracurricular activities (e.g., if she plays on a school sports team, attend her games). 6. Find time to check in and chat with your teenager each day, even if it's just about topics like her day at school or trivial occurrences in the news. Chat while doing the chores or preparing dinner. Inquire about her opinions or ask for input (e.g., "What should we make for dinner tonight?"). Look for everyday opportunities to connect with your teenager. 7. Household chores are a great way to get younger children involved with daily family life, but when parenting adolescents, you need to understand that they require a higher level of involvement and responsibility. They need the chance to help with family decision-making. It can be as simple as asking your adolescent, “Where do you think we should go on our next family vacation?” If you want her to help you make a decision about a new purchase, give her the criteria she needs to make an informed opinion (e.g., if she's going to research a new cell phone for you, tell her what features you’re looking for, and ask her to show you how to use the phone). Is she's pushing for the chance to buy her own clothes? Teach her how to budget for what she needs to buy. Give your adolescent the scaffolding so that she will have the skills for that particular decision-making involvement. 8. Let your teenager know that you love her for who she is, not what she does or how she looks. Adolescent girls are particularly vulnerable to low self-esteem due to peer pressure, the media and comparisons with celebrities. By letting her know that you see who she really is underneath appearances and achievements, you simultaneously support your bond and increase her self-esteem. 9. Participate in fun, enjoyable activities together. Ask her what activities she might like to share with you. 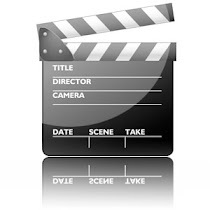 Suggest seeing a movie, taking a drive or going shopping after school. Let her know your relationship doesn't always have to be serious. Show her your lighthearted side. 10. Resolve conflicts soon after they occur. Allowing hurt to fester for too long can turn into a more serious wound and might lead to grudges. Let some time pass so you can both cool down, then open up a constructive dialogue. Apologize if you were wrong. Acknowledging your wrongdoings and apologizing immediately when you hurt your teenager's feelings can restore your bond and help her see that you're only human. While it may not be easy for your adolescent to accept that there is indeed a problem, it will help if you support her as she goes through the tough changes associated with adolescence. Put yourself in her shoes. See the world from her viewpoint. Even though you will be addressing the lying issue indirectly (rather than using punishment), by implementing the strategies listed above, you should be able to resolve the problem over time. It’s going to take at least a few months before the parent-child bond is restored, but once this objective is accomplished, your child will lose the desire to lie. Lying will no longer have the payoff that it once had. I'll try this myself but so far I've had no luck. I have the same problem. My daughter is only 9! She lies about everything! Big ones small ones, it's all the same to her. It's immediate too as if she's telling the truth. Some things like getting a lighter and starting a fire in the back yard. (That was my cousin, I'm just throwing garbage in it.) She'd steal my soda and I'd ask her. She'd say no and I'd find the bottle in her room. It's not just when she steals stuff it's also when she wants to play with friends. She'll ask if she can go play in the club house and I'll say yes and she decides to go to her friends house. Or ask if she washed her hair or brushed her teeth and hair. She responds yeah. Even if her hair is still ratty. I'm st a loss. Lie the original post I've tried everything. I've even spanked. Which never worked it only made her mad and violent. Any other advice? spanking never works. get her into therapy NOW. You have to get professional help or her life will spiral into criminal behavior. My daughter is almost 14 years old, and she has been a consistent liar for around 8-years. Lying will almost certainly lead to stealing - which my child has done. I finally saw our doctor last week and she is being referred to a therapist. I'm exhausted. The bonding solution is a good idea, but I'd need to recalibrate my approach to begin that process with her. Therapy has to be the way forward. Best of luck!